Are you concerned about your own website management services? Are you just not happy with the options you’re currently offering to clients? If so, there’s no better time than the new year to make a change. However, when you’re looking into upgrading your management services, there are a few things you need to look out for. Knowing what you need — and what you can do without — will help to ensure that you get the best experience possible. In this post, we’ll tell you the five features that you can’t afford not to have when it comes to web management. Are you trying to handle customers that always seem to pay late? Tired of lost hours due to complicated billing procedures? It’s time to make a change. When it comes to website management services, always look for those offering easy-to-use and ultra-secure client billing options. Look for options that don’t store a client’s credit card information to avoid hacking disasters. After all, they could entirely destroy your company’s reputation. Also, ensure that the services you choose to work with are equipped to handle both one-time and recurring invoices. You need to make sure that you can charge clients on a monthly or a daily business for whatever services you’re providing. Additionally, when on the hunt for client billing services, you need to ensure that its possible to create customizable invoices. They should allow you to add multiple line items. Be on the lookout for services that offer white labeling. This will allow you to have the money sent directly to your bank account — without having to tell your clients. Ensure that there is no maximum when it comes to how many clients you’re able to bill. Even the best services aren’t worth their salt if they can’t meet the demands of your growing business. Finally, most of all, look for a service that doesn’t take a percentage off of what you’re owed. It’s your money — you should be able to keep all of it. Quality website management services will be compatible with all of the domains you use, whether GoDaddy, Namecheap, or other options. Additionally, if those services can help you to manage multiple domains in a centralized dashboard? Ensure that you don’t end up paying for either hosts or domains that you’re not using. It’s especially crucial that you look for domain management services that provide 24/7 support. A website doesn’t exactly go by your schedule. You don’t want to miss out on sales or productivity because you had to wait for hours for your site to get back online. Be sure that you look for domain management that is ad-free. It should also come with an easy-to-use interface that even the least tech-friendly person on your team can understand. Finally, insist on services that provide you with reliable DNS that will help to increase your overall site uptime. Cloud hosting is one of the most important things when it comes to finding the right website management services for your business. With companies averaging a cloud-based workload of about 79%, if your data isn’t stored in the cloud, then you’re already behind your competition. Always insist on services that offer you unlimited theme and plugin options, as well as ones that run backups of your site and data at least once every thirty days. Additionally, ask if the cloud hosting services you’re considering using offer free SSL certificates and data migration. You should also look for options that come with staging environments and SSH/FTP access. Never settle for anything less than 99% uptime, and always ask whether or not your cloud hosting company will provide you with automatic security updates. 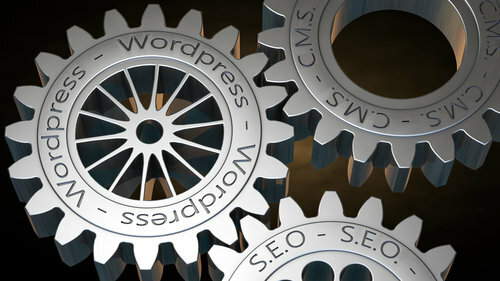 WordPress is one of the most popular platforms for a reason. It’s easy-to-use, reliable, and accessible to nearly any tech level. But if you don’t choose the right website management services, then your WordPress hosting is at risk of becoming needlessly complicated. When you’re searching for these services, ensure that all of your servers are monitored 24/7, so that you can catch a problem or a bug before it spirals out of control. Additionally, ensure that your host will run frequent updates and ensure that you’re working with the latest release of WordPress. Look for hosts that offer different price points based on the amount of bandwidth, storage, and other services you need. There is no reason why you should be paying for space of services that you don’t need and won’t use. Ensure that, even if you start off with a smaller option, that your host will be able to scale up as you continue to grow. Are you tired of constantly having to log on to several hosts in order to access your clients’ external accounts? Are you concerned that, if you make the switch to a different host, you’ll have to wait for hours, maybe even days, in order to access your files? Are you annoyed with having to pay for SSL? If you answered “yes” to any of these questions, then it sounds like out cPanel hosting will be a much better fit for you than whatever it is that you’re currently “working” with. We offer quick access thanks to instant deployment subdomains, which means no more waiting around for your files. We’re also committed to providing you with free SSL, as well as a seamless user experience that makes everything easier. Ready To Upgrade Your Website Management Services? When it comes to something as essential as your website management, there is no reason why you should be cutting corners. Same goes for settling for less than you need. Both you and your clients deserve website management services that believe in constant innovation, live premium support, total domain freedom, and much more. The nature of the web is always changing. So, why are you still working with outdated, stagnant website management professionals? When you’re ready to make the right change for the new year, spend some time on our website. Learn more about what we have to offer and why we’re the right fit for you. We can’t wait to improve your website and increase your client satisfaction.